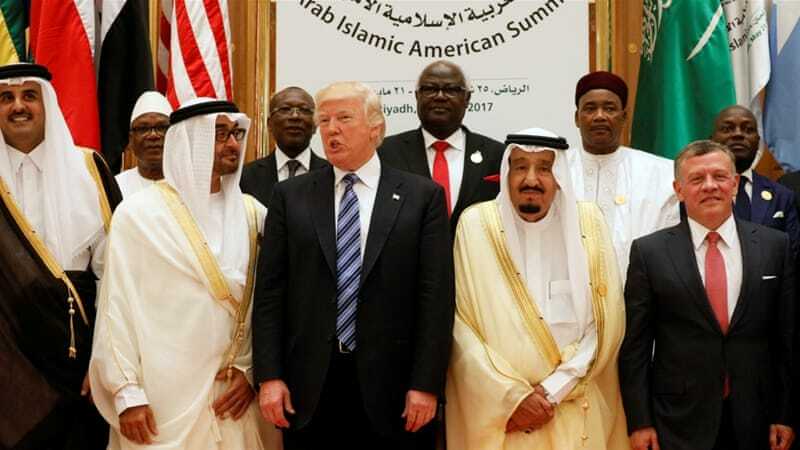 US President Donald Trump’s planned summit with leaders of the Gulf Cooperation Council (GCC) is likely to be postponed until September, after the wholly month of Ramadan, Reuters has learned. Five US sources knowledgeable of the conference who requested to remain anonymous told the news agency that the summit to take place at Camp David will not be held as planned in May due to tight diplomatic calendar of the Administration. Two sources told the agency that the lack of Secretary of State, as President’s pick Mike Pompeo is yet to be confirmed by the Senate, also motivated the postponement. 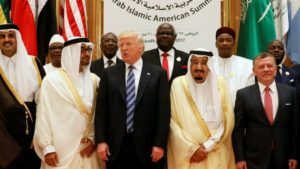 President Trump was set to welcome in May Washington’s GCC allies, namely Saudi Arabia, United Arab Emirates (UAE), Qatar, Oman, Kuwait and Bahrain amid the ongoing crisis opposing Qatar on one hand to Saudi Arabia, the UAE, Bahrain and Egypt on the other hand. The quartet have severed ties with Qatar over its alleged support for terrorism. The Trump administration has tried to defuse the crisis under the leadership of sacked Secretary of State Rex Tillerson, but to no avail, as the crisis became further complex between the UAE and Qatar. A spokeswoman for the White House National Security Council denied that the delay in staging the conference was tied to the crisis, Reuters reports. President Trump according to a US official discussed the delay of the conference last month with Saudi Crown Prince Mohamed bin Salman during his visit to Washington. They agreed to hold the summit after the holy month of Ramadan to end mid-June. The US leader is expected to host Qatar’s Emir, Sheikh Tamim bin Hamad al Thani next week, followed by a meeting with Abu Dhabi Crown Prince Sheikh Mohammed bin Zayed, Reuters reports. Posted by KanelkaTagba on Apr 4 2018. Filed under Gulf News, Headlines. You can follow any responses to this entry through the RSS 2.0. Both comments and pings are currently closed.